Many of our on-going classes and session include Learn to Row (LTR) classes as part of their core curricula. However, if we have a large enough demand, we will host special Learn to Row classes. We can schedule you individually and/or your group. simply contact us to find out the **many Learn to Row options** that are available to you. Learn to Row classes for adaptive rowers are offered using the guiding principle of having fun while learning a new life-sport experience! LTR does not focus on athletic ability, so it is well suited for those looking for an engaging sport with which to become more physically active. Our LTR class will introduce you to equipment, safety, adaptive modifications, boat handling and teach you basic rowing fundamentals. Classes are scheduled year around and are designed to prepare new adaptive rowers for Texas Rowing For All novice rowing programs. I’ve never rowed before. Can I still sign up? You’ve never rowed before? — No problem! —You’ll love to try it. — No experience is necessary, just sign up for our Learn-to-Row adaptive classes. Our knowledeable rowing instructors will work with you to develop an assessment of your unique goals and any adaptive modification necessary! There is no training or fitness level necessary for this class. Your fitness level will increase during the class, and rowers & paddlers who continue will realize the cardiovascular and core strength development that water sports provides. 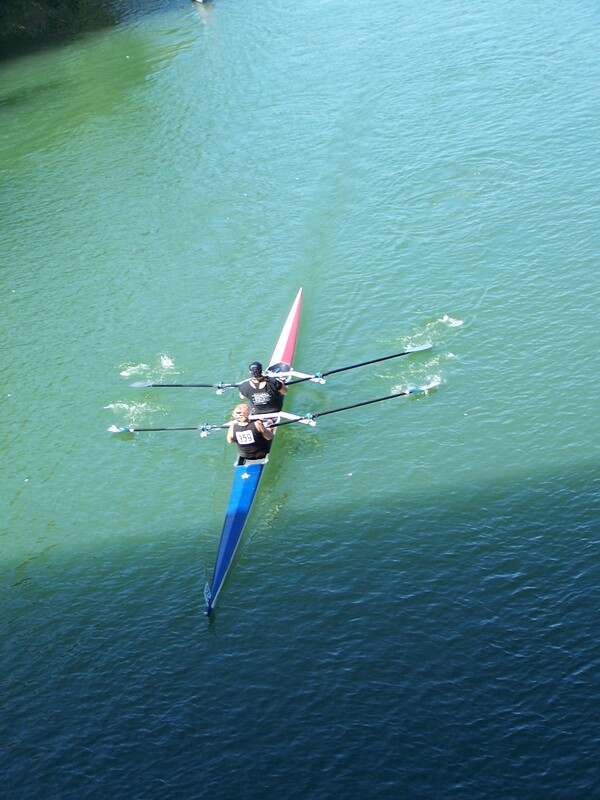 Rowing is done both as an individual or team sport. You’ll meet new friends, learn the basics of the sport of rowing and improve your overall fitness level. Each rower will fill out an athlete information form and be assessed for adaptive equipment if needed. Adaptive equipment may include hand grips, stablizing poontoons, support chairs in the boat or on the erg, strapping and other helpful equipment that will enhance your rowing experience. Typical athletic gear is all that is required, as long as it is not too baggy. Baggy clothing can get caught in the tracks or seats of the boat and the rowing machines (ergs). Most people wear snug & comfortable athletic shorts, t-shirts (and necessary layers depending on season). Please wear or bring a pair of socks. With the Texas heat and sun don’t forget to bring a filled water bottle and sunscreen. You may also want to bring sunglasses and a hat/visor. Absolutely, —Texas Rowing For All organization strongly encourages those who support you and your rowing & paddling adventures. Lady Bird Lake in Austin is a beautiful place to be any time of the year. We meet and launch from the docks at Texas Rowing Center. There are shaded picnic tables on the dock for those who want to watch the Learn to Row activities. Who teaches the Learn to Row classes? 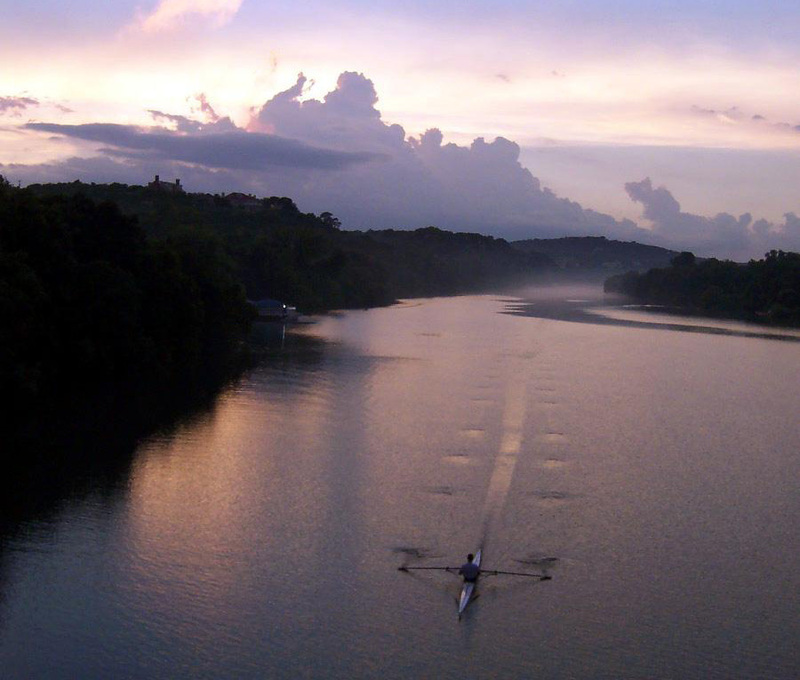 Learn to Row Program is led by Texas Rowing For All’s dedicated and knowledgeable coaching staff. Coaches in the various programs have years of experience coaching athletes from diverse backgrounds and situations. All TRFA coaches are safety minded, employ best practices in adaptive sport, are motivational, encouraging and make practices not only challenging, but fun! themselves Additionally, experienced rowing volunteers/instructors from the greater Austin rowing community assist, including other adaptive rowers who will aid in your learning and development during class. Will practice be held if it rains? We are serious about safety and strictly adhere to the safety regulations established by our sport’s governing body, the USRowing Association. We row / or paddle rain or shine, as long as there is no danger of lightning and the winds are reasonably light. If storms do occur, we may move indoors at the TRC Boathouse for continued training on ergs. In doubt about attendance because of the weather, Texas Rowing For All coaching staff will call TRC ( at least one-hour) prior to class to make a decision to have practice or not. If in doubt, call the rowing center at 512.467.7799.